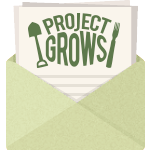 Project GROWS’ farm is located on 10 rolling acres in Augusta County, Virginia. Our farm broke ground in 2012, growing 3,000 pounds of vegetables on a half acre using ecological and sustainable farming methods. 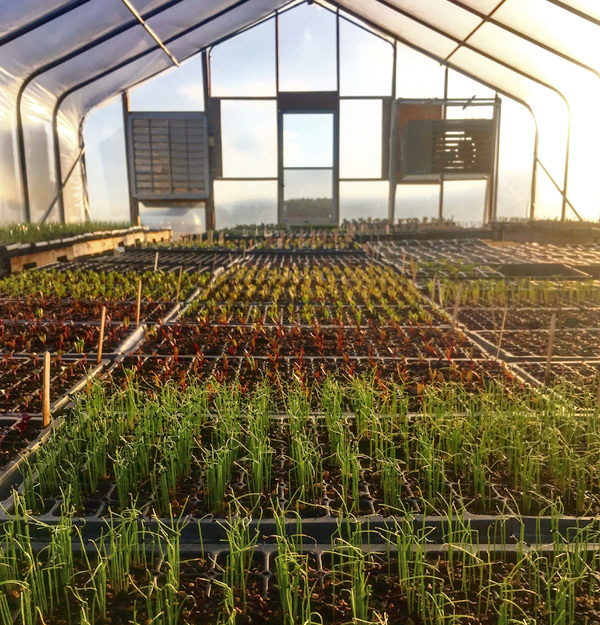 Since then, Project GROWS has increased the size of our gardens to over four acres including a greenhouse, tractor, solar-powered walk-in cooler, and two plastic-covered high tunnels. We now grow 12,000+ pounds of food each year that makes its way to kids and families on the farm, in school, and throughout the community. Kids eat our produce at the farm during field trips and summer camps, and in their school cafeterias year-round and for special Farm to School Tastings. Individuals and families can find our produce at our Staunton-Augusta Health Department Farmer’s Market, the Youth-Run Farm Stand at the Boys & Girls Club, or at partner organizations like the Blue Ridge Area Food Bank. Over 20 families each year are part of our Community Supported Agriculture (CSA) farm share program, where members pick up seasonal, fresh Project GROWS produce from sites in Staunton or Waynesboro every week from June to October. “I felt like a farmer when I was there!” After visiting the Project GROWS farm, students report feeling more valued, and more confident.